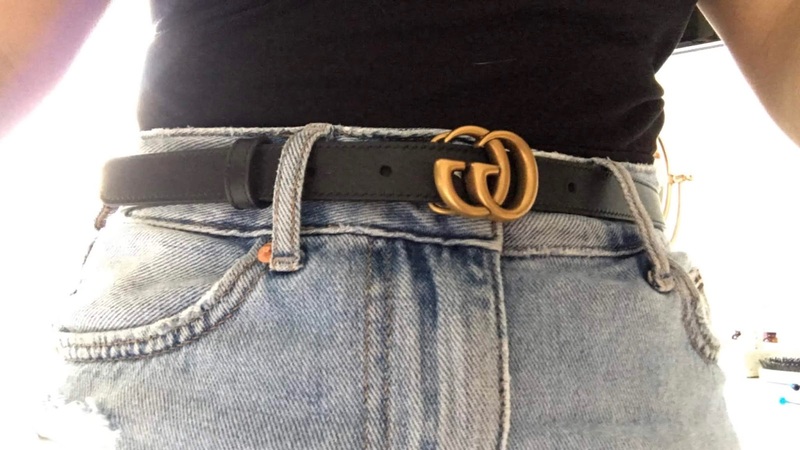 As you can see from the picture above I didn't got the traditional thick double G belt, purely because i'm 5ft so I think it would be just a bit overpowering and personally not me. I like subtle which does in the just right way. Believe it or not it's not as thin as I thought it was going to be, it's just amazing. 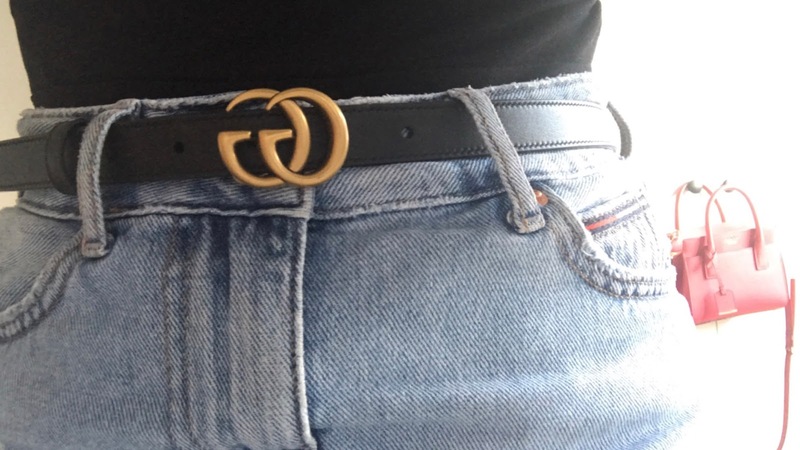 So I went for the size 80 after a lot of debating and watching millions of reviews on this belt, the amount of times I measured myself is unreal but I came out in different sizes each time. So I took the plunge as it said if you are 'pant size' 27 then 80 so I thought just go with it. When I took it out of the box I was like no it's too small but once I put it on it was perfect! 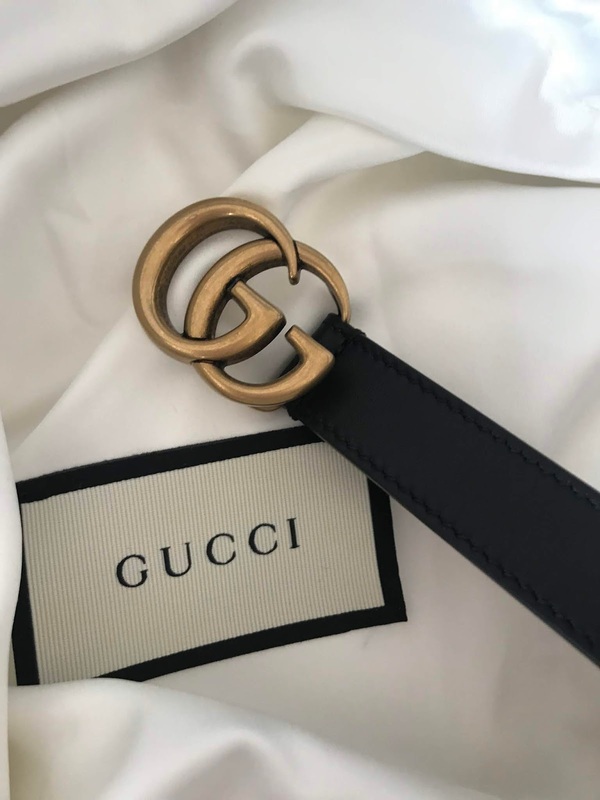 The belt has five slots but you can get more added by Gucci, it's meant to sit in the middle slot, which main does perfectly. It comes in 10 sizes! And 4 colours, obviously I went for black but I was debating between the tan...maybe next time? Buckle is still rather large but not in your face large, it's also antique brass and smooth leather. 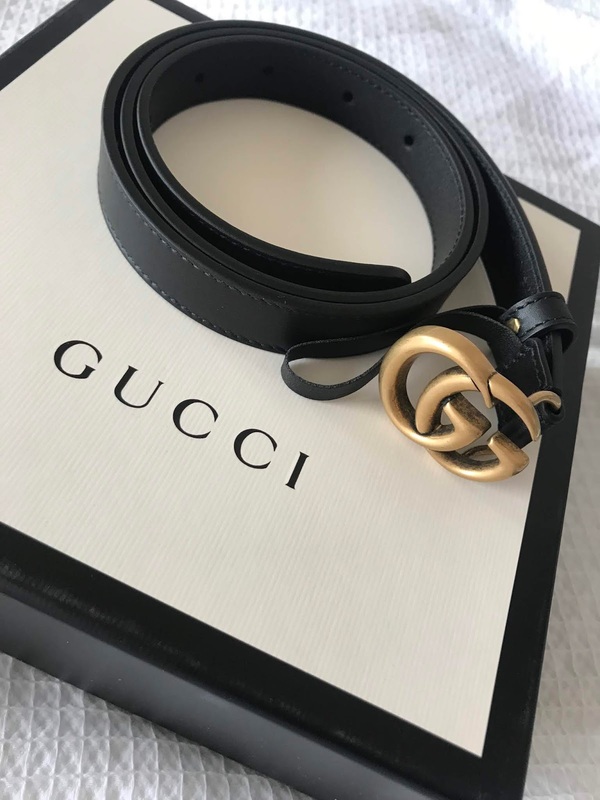 Okay so pricing this is not a cheap purchase but is cheaper than the traditional Gucci belt which is £320 this one was £235. 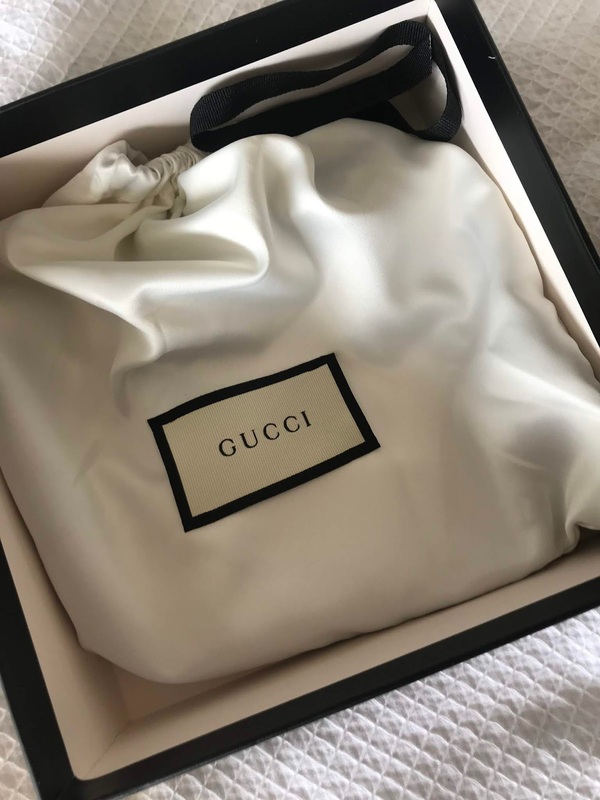 I purchased directly off Gucci I ordered it on Thursday 2/08/2018 and it arrived Monday the 6th which is pretty quick seeing as it came all the way from Italy. 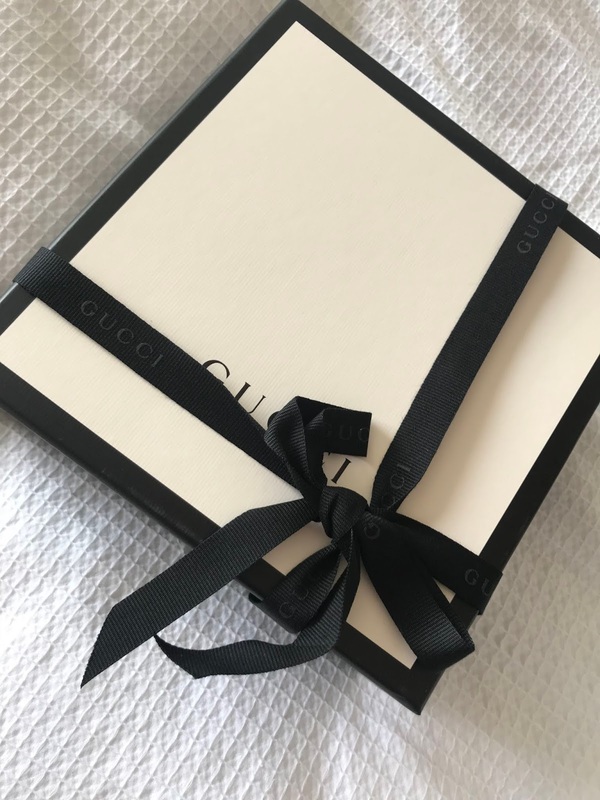 The package was very secure and came beautifully gift wrapped (free by the way) as you can see in the pictures, just like most designer purchases you get a little thank you card, care card etc. What I couldn't get over was the fact it came in a silk dust bag is beautiful. As you can see below here it is paired with a Tommy Hilfiger skirt and it works so well, I know i'm going to get the use out this purchase. Thank you for reading! 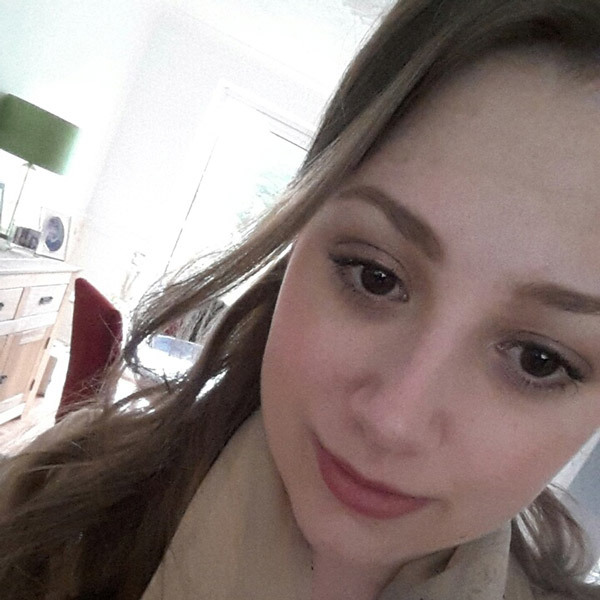 Sorry if it was a bit of a ramble, I just wanted to chat about my new love!